Recent studies show that the average person is exposed to up to 10 000 brand messages a day. With consumers switching between screens – television, laptop, smartphone and tablet – this equates to 21 times an hour, which correlates with Microsoft’s claim that the average person’s attention span is now just eight seconds. With so many distractions impacting their target markets, brand managers and marketers face an uphill battle to make their brands stand out and create the kind of urgency that makes people take action. Similarly, one of the biggest challenges facing organisers of awards ceremonies, events, activations and trade shows is that today’s attendees and audiences are no longer satisfied by simply “being there”. Instead, they want to be entertained, but not just by what’s on show. They want to participate, engage and share. Anyone not enabling this level of interaction risks – literally and figuratively – losing their audience. How did the organisers of one of Johannesburg most prestigious awards ceremonies, the MTN Business App of the Year Awards, rise to the challenge? Of course, they upped the ante with impactful decor, a vibey venue, exquisite titbits and lavish cocktails. Naturally, they packed the evening with frenetic activity from a variety of dancers, entertainers and performers. But, they also partnered with Flock Eventing Platform – for the 5th year in a row. A South African-based software company providing event management software and mobile apps for events, Flock once again created a bespoke mobile app for guests to download on the day of the event.This placed all the event information in the palms of the attendees’ hands, providing easy access to details on the categories, sponsors, judges, past winners, event venue details, and so on. Additionally, it allowed them to take part in the People’s Choice award by voting directly through the app, provided access to the videos and photographs being shot during the event, and gave them the means to easily join in on the social media activity generated around the event. 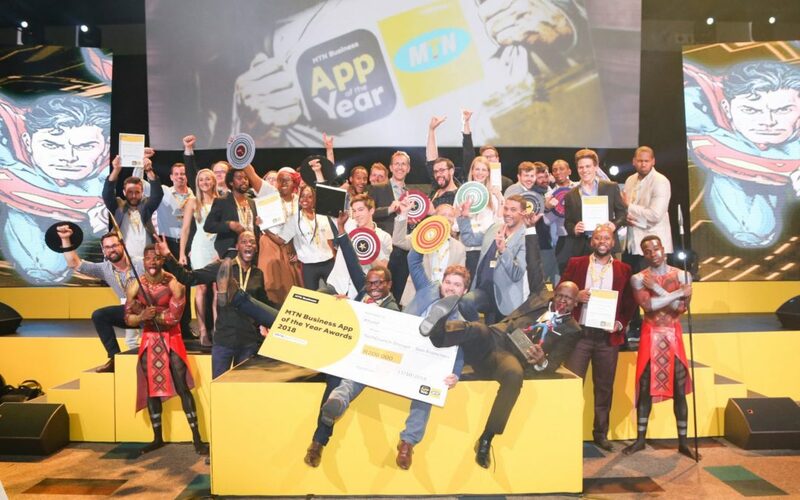 “The MTN App of the Year Awards was created in 2012 to highlight the amazing work happening in South Africa in the tech space, where developers and business owners join forces to create software that helps people and businesses in ingenious ways,” said Mike Lysko, founder and CEO, Flock Eventing Platform. “We were exceptionally proud to partner with the Awards then because our product is part of the software innovation and revolution of South Africa. Five years later, and I can honestly say it has been a humbling and inspiring experience to work with MTN, the Awards organisers and the high calibre of entrants each year. It is a benchmark event, and contributing each year to its success is a great achievement for us,” he said. Guest feedback received through the 2018 app showed the overall positivity and enthusiasm for the event and how it had been organised, which is a testament to the event planners. Flock, however, is not content to rest on its five-year laurels; it continually investigates new technologies and how they can be utilised to engage attendees and add value. “We appreciate that, in today’s smart-phone-enabled world, interaction is king when it comes to delivering an experience that enthrals audiences and attendees. It’s our mission to assist event organisers to capture their attention, and hold it. We enjoy doing this for clients like MTN, and we look forward to doing it for many more companies in the future,” he concludes.